I have a serious problem. 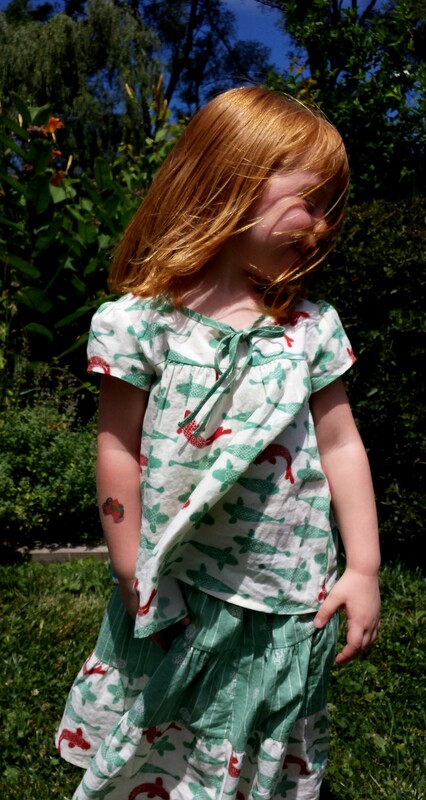 I am a koi fabric addict. There, I said it. 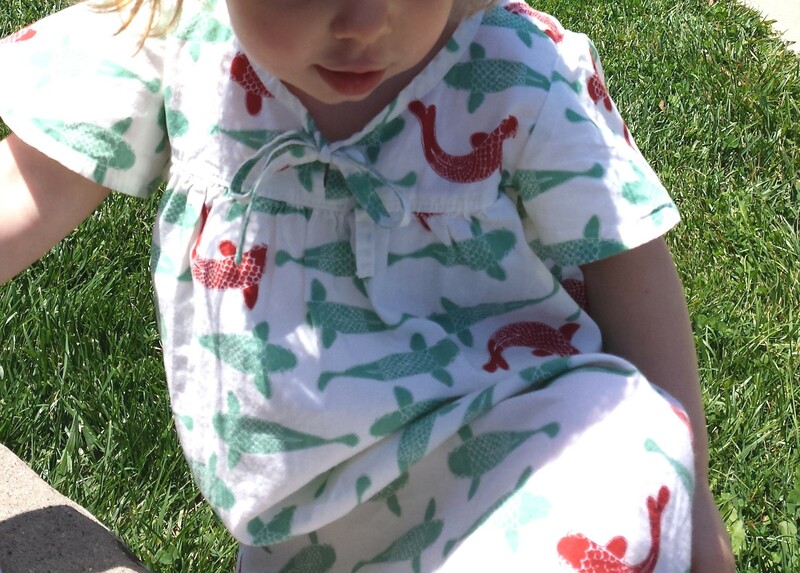 When I came across this Eiko Playing Koi in cream from Birch Organics, I pretty much lost my mind. I first saw it on clearance at Fabricworm. Of course, I waited too long to order a big pile of it, and it was sold out when I finally was ready to go for it. I searched around on Etsy, and found it at LiMaSews. 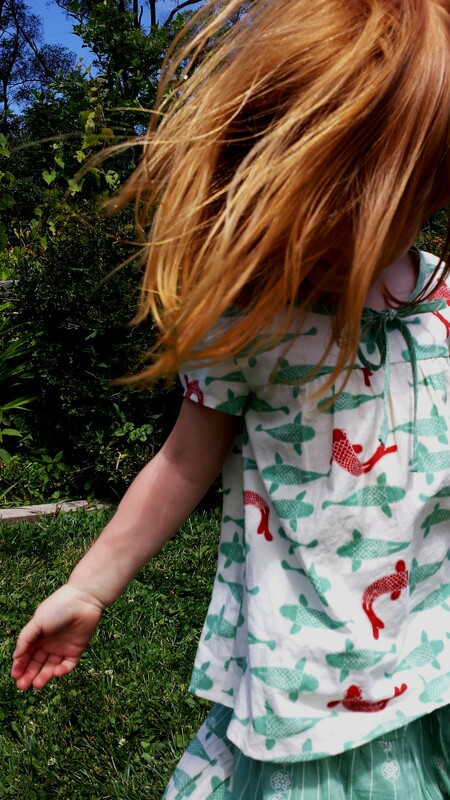 Sorry, I bought all that she had — which was enough to make the Flared Sleeve Dress from my favorite book, Happy Homemade Sew Chic Kids. 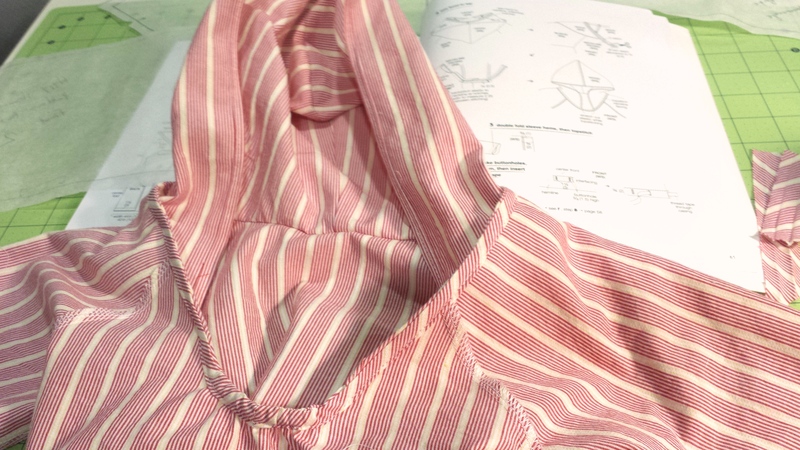 The only change I made to the pattern instructions was to attach the neck binding by tucking the raw edge of the neckline inside the binding and sewing it once — rather than sewing one edge of the binding, flipping it over the edge and sewing again. 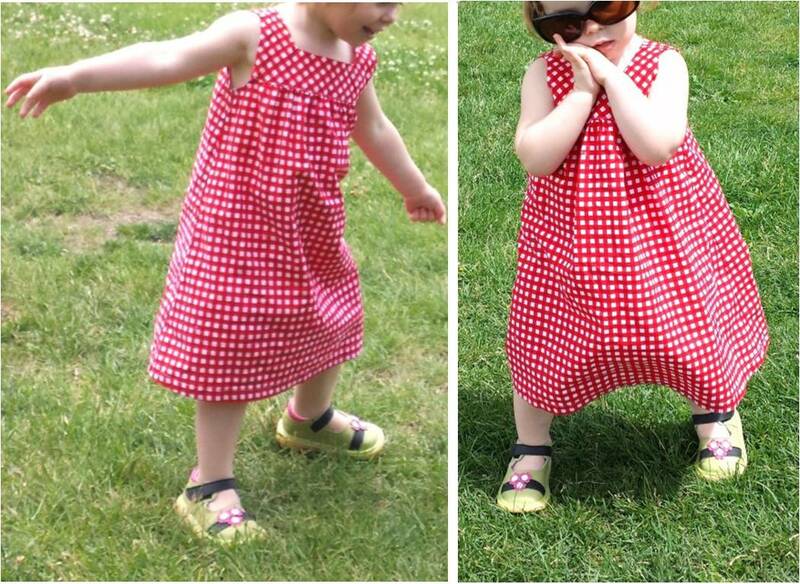 I learned this trick when I made the Olivia Dress from Craftiness Is Not Optional. It’s just easier. 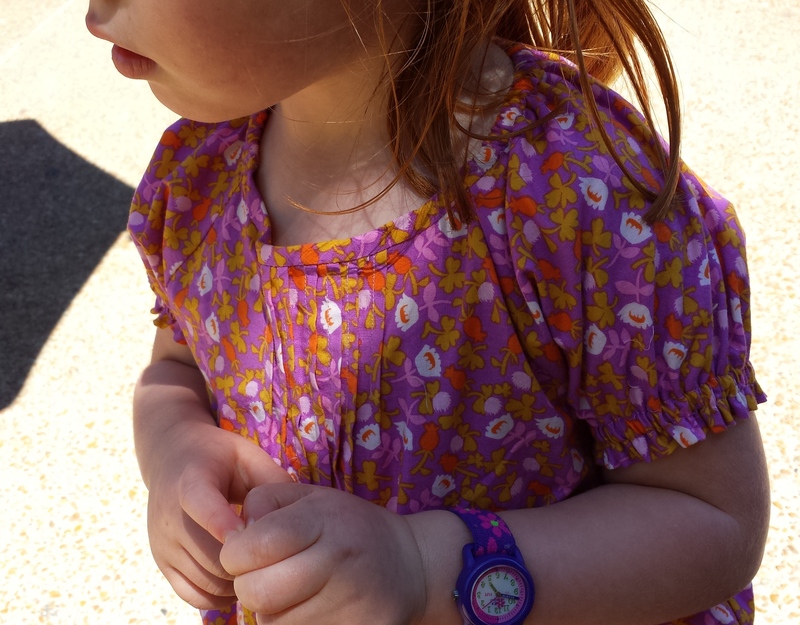 As a general rule, I don’t really go for the matchy-matchy look with my kids. But . 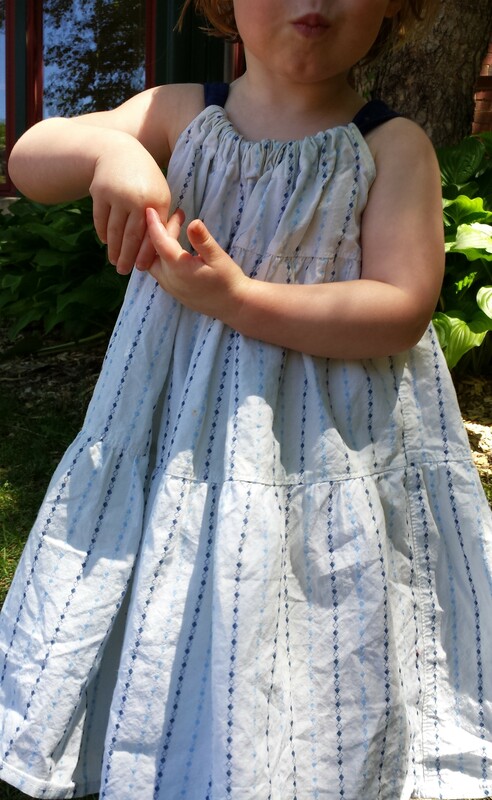 . . once Lulu’s dress was done, I knew that I needed to sew with this stuff again. Right away. 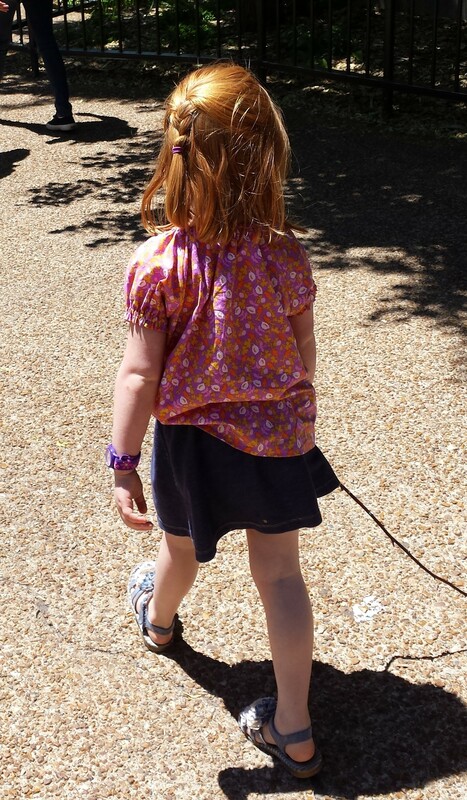 If you have visited this little blog before, you know that my oldest daughter Kiki will currently wear only skirts and shirts. And, one must be able to tuck the shirts into the skirts (sadly). So, it was back to Happy Homemade for the Ribbon Tie Blouse and Tiered Skirt. 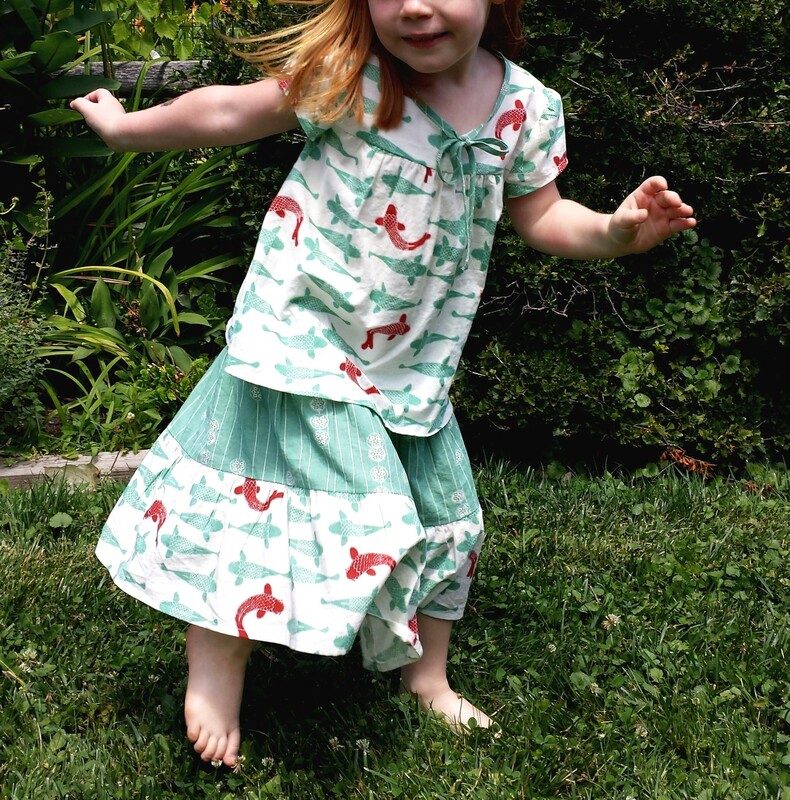 Seeing as it’s Kids Clothes week — late Tuesday night (technically Wednesday morning – gulp), I finished Kiki’s koi duo. They are both size 4 for this four year old. They’re a little roomy, which is always good news for next year. No problems sewing these. 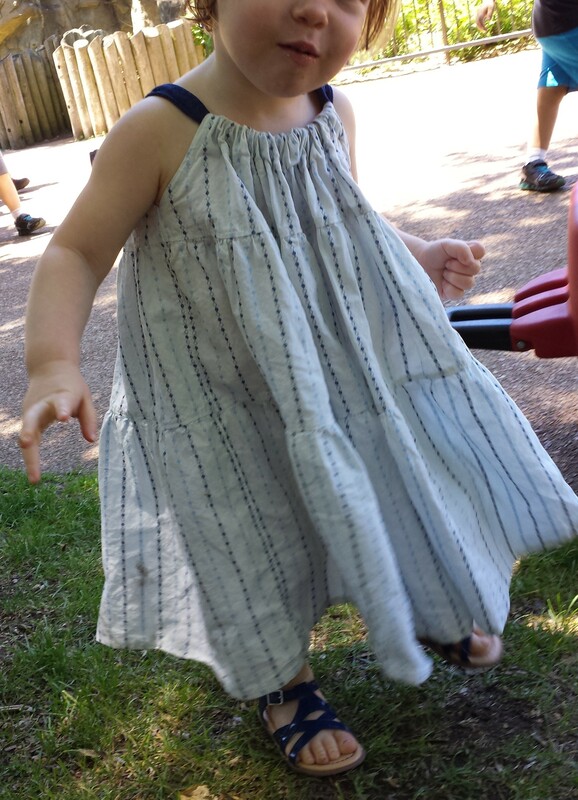 Again, the only change I made was with attaching the bias neck binding as I did with Lulu’s dress. 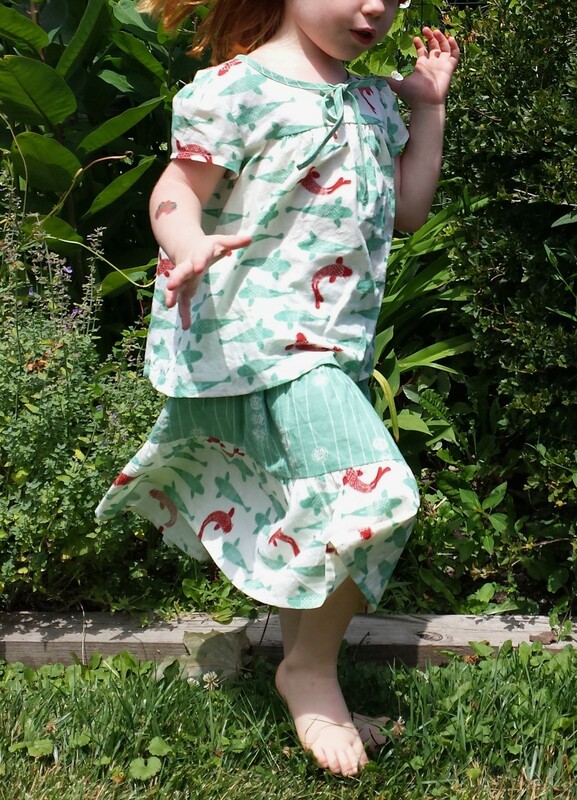 The contrast fabric in the skirt is Eiko Stamp Stripe in pool from SewYeah Fabrics on Etsy. 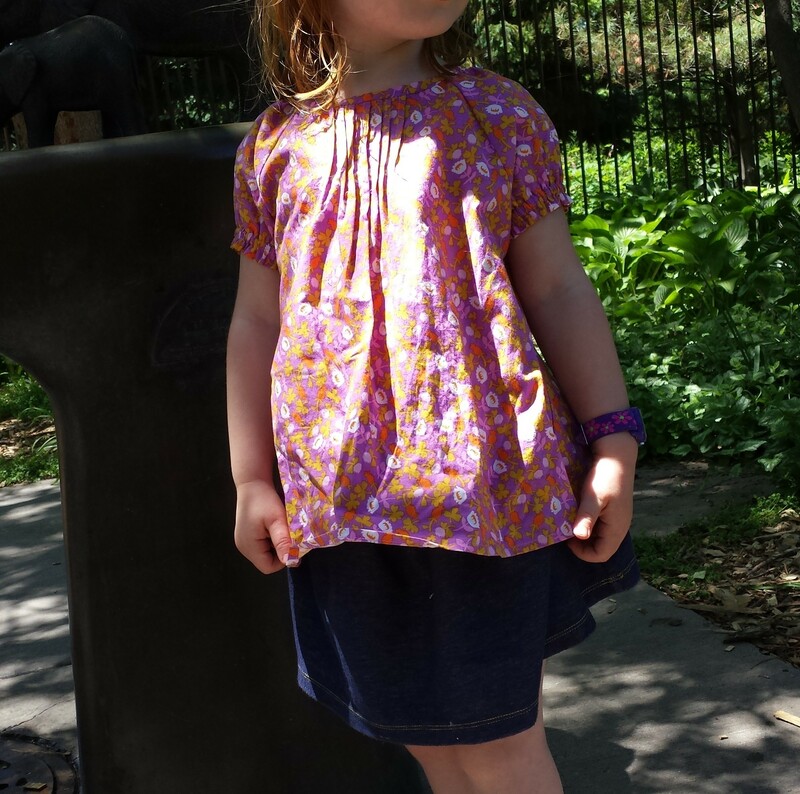 As a special favor to her mother, Kiki agreed to let me take these photos with the shirt untucked. Just this once. 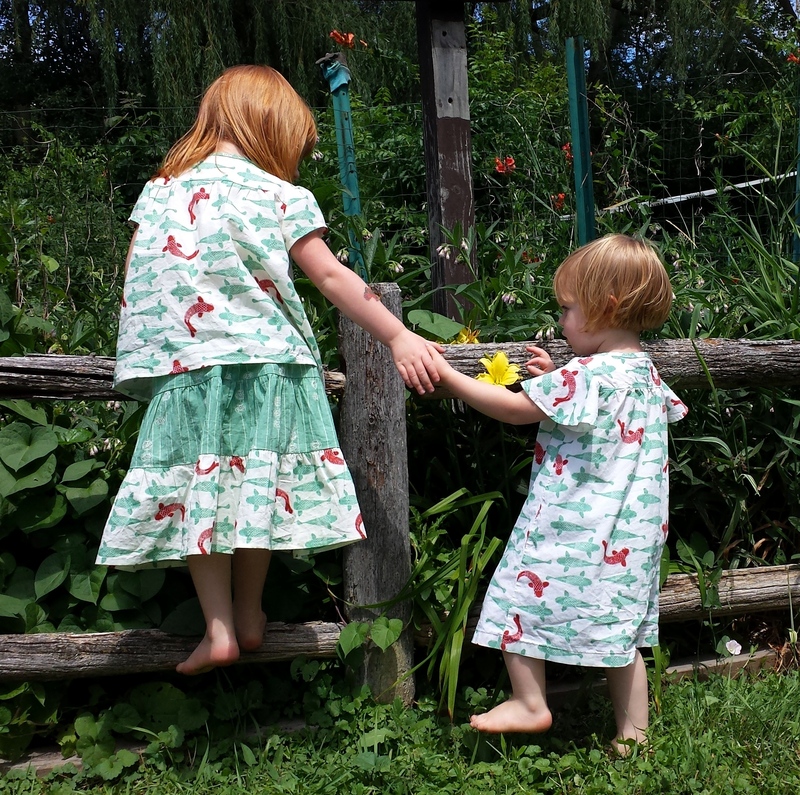 There’s something about this seeing my girls in this fabric that makes me feel like I’m back at the glorious Japanese Spa Ten Thousand Waves, just outside of Santa Fe. 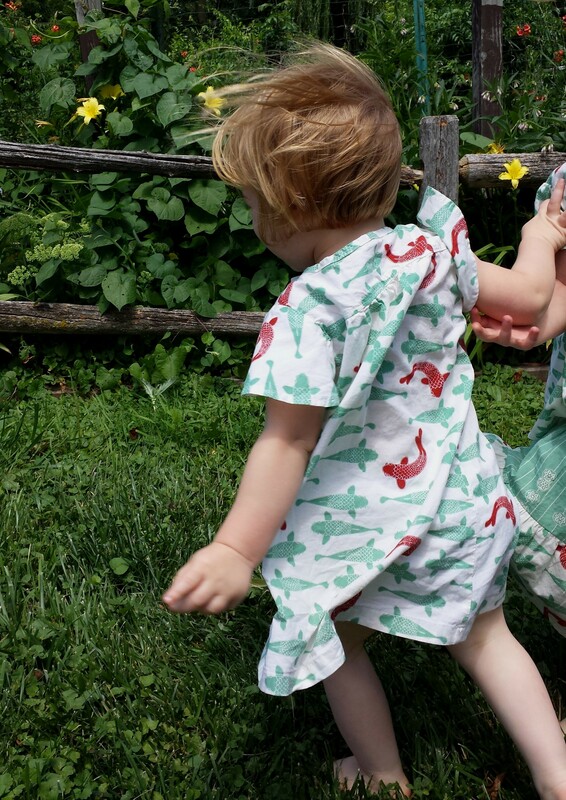 How being around toddlers can make one think of a massage and a dip in the tubs is testament to this fabric’s power! 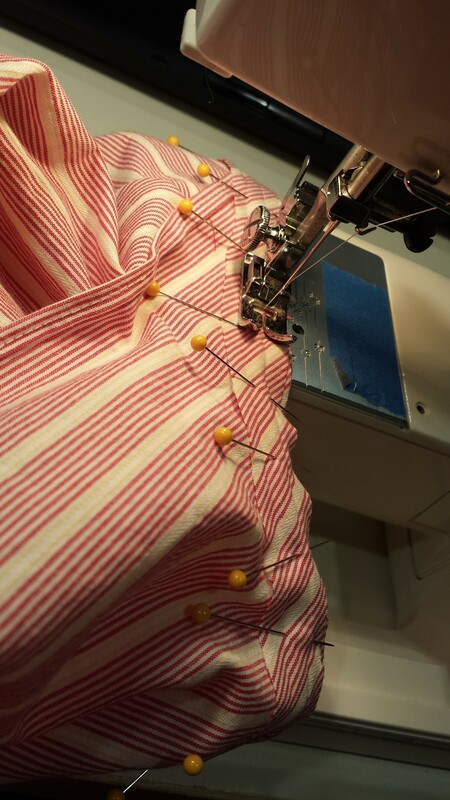 How’s your sewing going this week?? 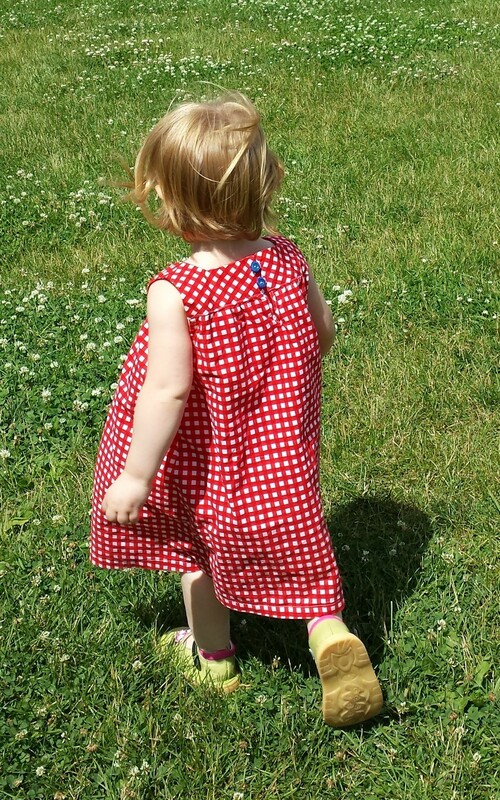 In my last post, I chronicled the misadventures of the making of Kiki’s 4th of July outfit. Now that I’ve recovered from telling that sordid tale, it’s Lulu’s turn. 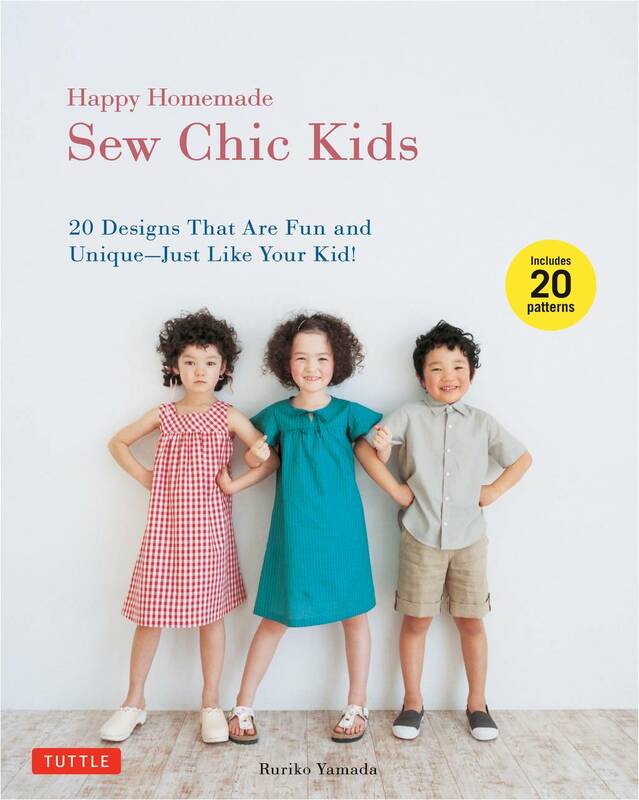 You may recognize her dress as a dead ringer for the one on the cover of Happy Homemade: Sew Chic Kids, my new favorite Japanese sewing book. Not too creative, I know. 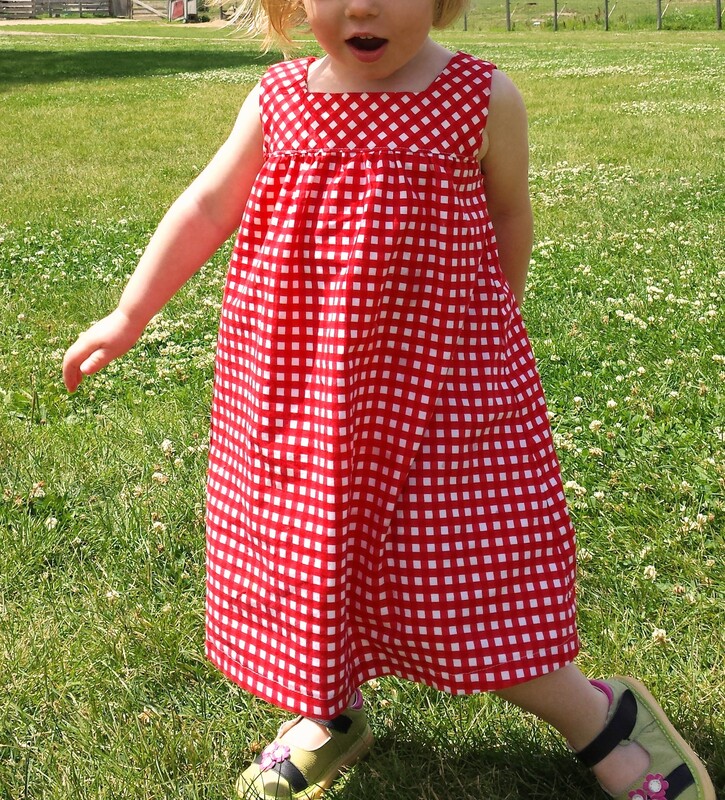 But, I saw that dress, loved it, and made one just like it. I couldn’t think of a way to improve it. And what can I say — it’s perfect for the 4th of July, don’t you think? This “Dress with Square Neckline/Dress b” was very smooth sewing, and it has me ready to continue to give into my kind of freakish Japanese pattern book sewing obsession. I really love the classic simplicity of all of these designs. I was a little surprised that the back bodice piece sits much higher than the front piece — I thought I had screwed it up when I first put the bodice pieces together. But now I see it’s a design element that adds to the flowy-ness of the dress. So it’s all good. 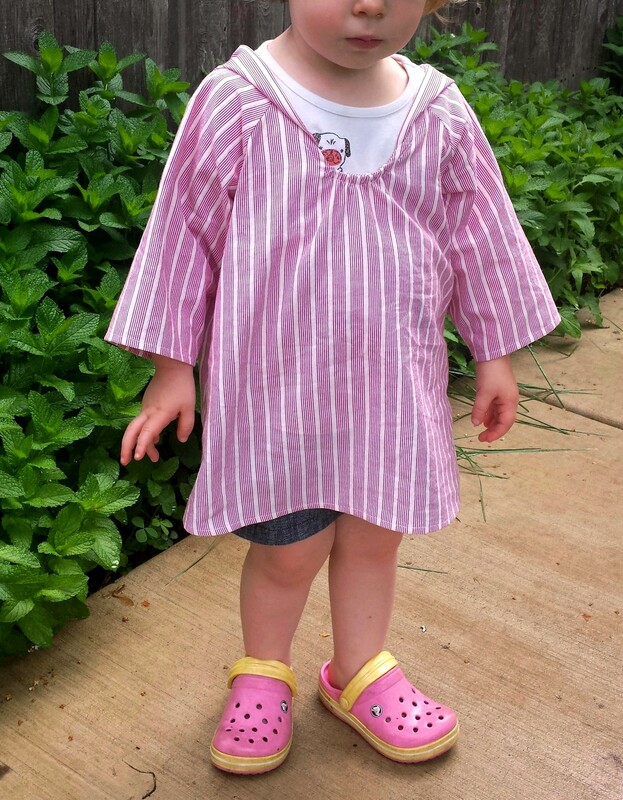 It’s a size 2, in Riley Blake Medium Gingham. It’s roomy, so she’ll be able to wear it for a while. The only change I made was to use red hair elastics for the button loops instead of making them out of fabric. 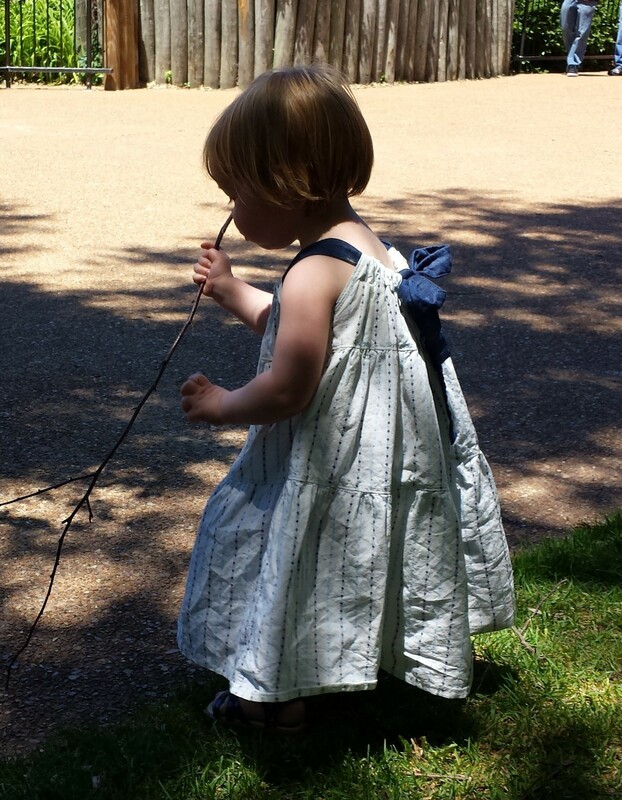 This is a little trick I learned from Toni of Make it Perfect, when I made her Sprout Dress for Kiki last winter. I do not love sewing little fabric loops, and these elastic loops go on and off so much more easily. And, I always seem to have one in the right color laying around the house without having to plan ahead. The only thing to be aware of when going the elastic hair tie route is to be sure you’ve sewn through the elastic on both ends of the loop, since the elastic is pretty narrow. Just to be safe, I sewed over them a few times on the outside of the bodice with a really narrow stitch to be sure they stay put. I don’t think it shows too much, do you? 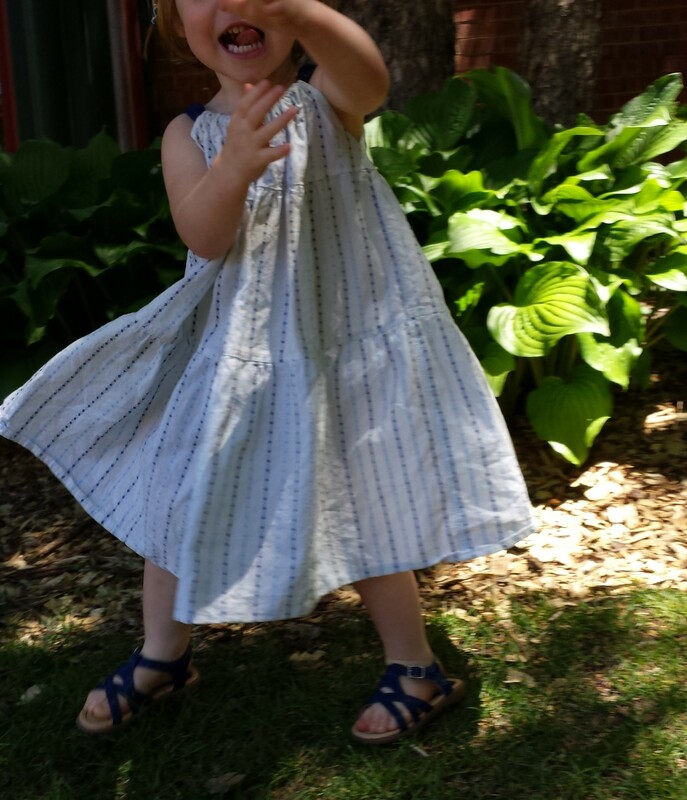 As you can see, this dress is great for twirling and Vogueing — two necessities for any 2 year old’s wardrobe. 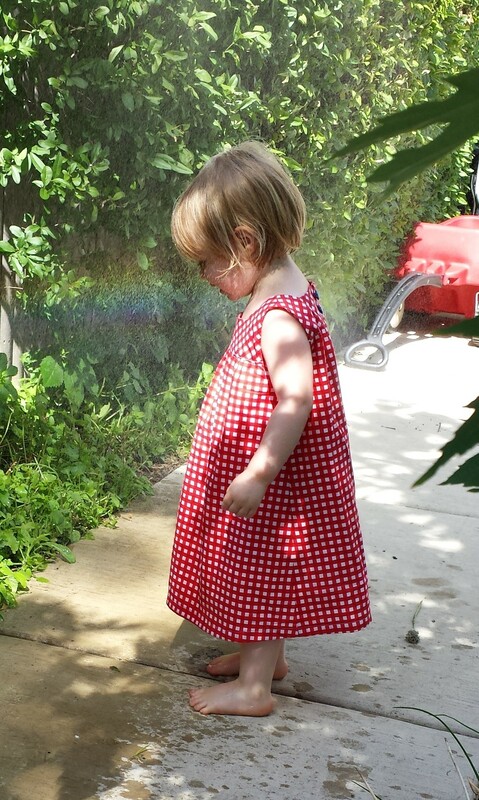 It even comes out looking great after a good dousing with the sprinkler. 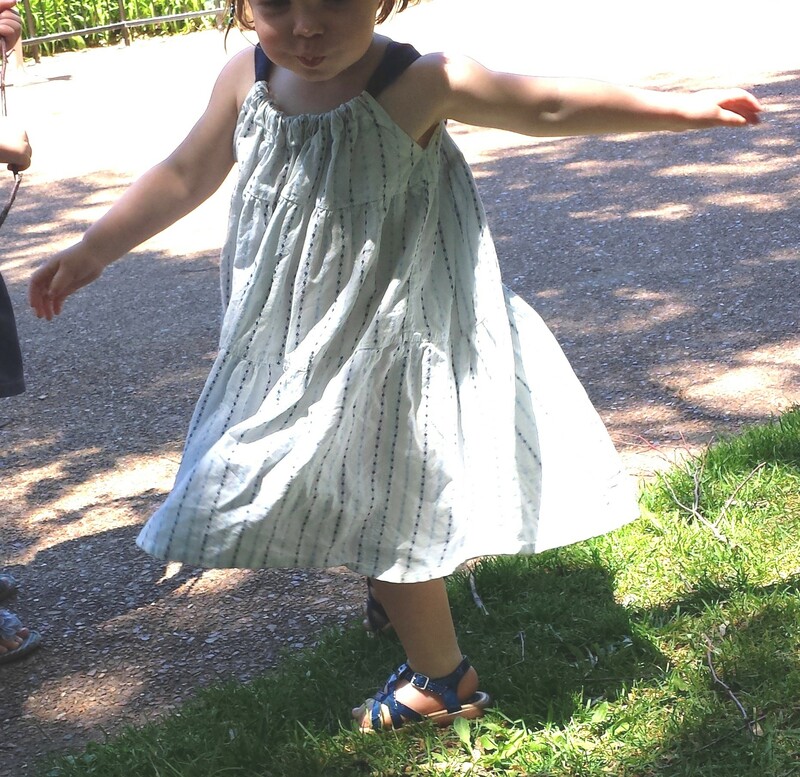 After my encouraging experience with the Happy Homemade Tiered Dress for Lulu, I was ready for more! Kiki was up next, of course. 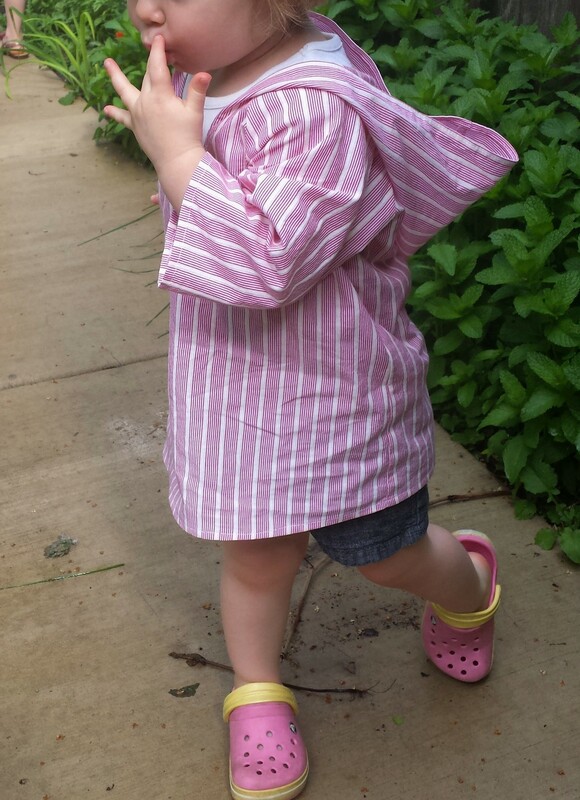 She is now living by a very strict “Shirts & Skirts Only” rule. (No lovely summer dresses for me this year, thank you very much!) So, a new top it was to be. 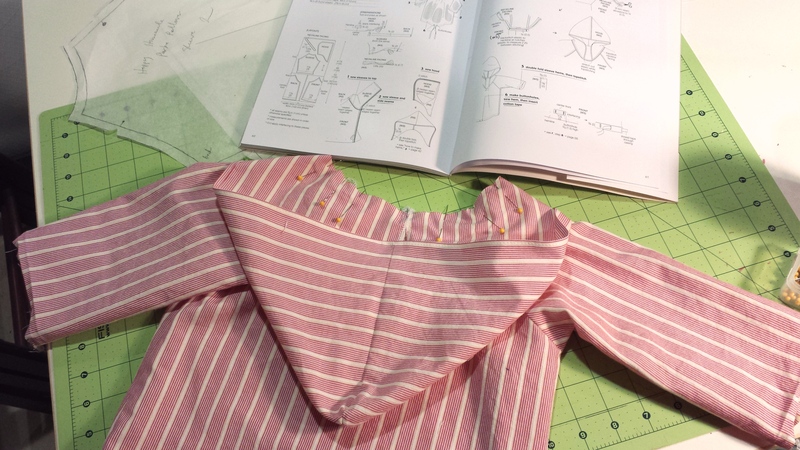 After perusing the several top options in the book, I chose the Pin-tucked Blouse, or “h” as it’s called in the book — because honestly, pin-tucks just make me happy. 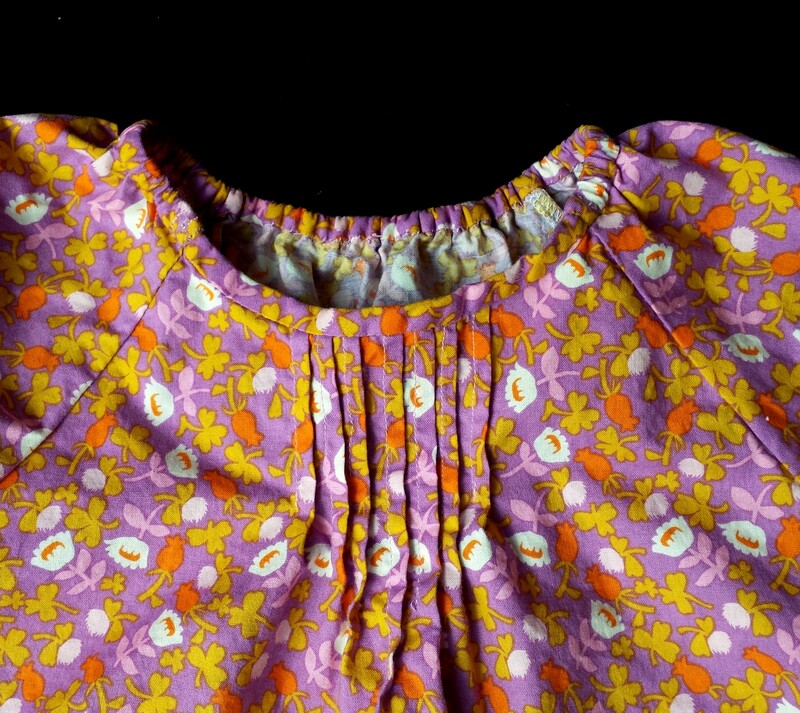 The fabric is Briar Rose Calico in Lilac that I bought at the end of the summer last year with another project in mind, which somehow was never realized. Kiki is really into purple right now, so this seemed like the right thing to do. I cut it in size 4, which turned out to be nice and roomy, without being too big. 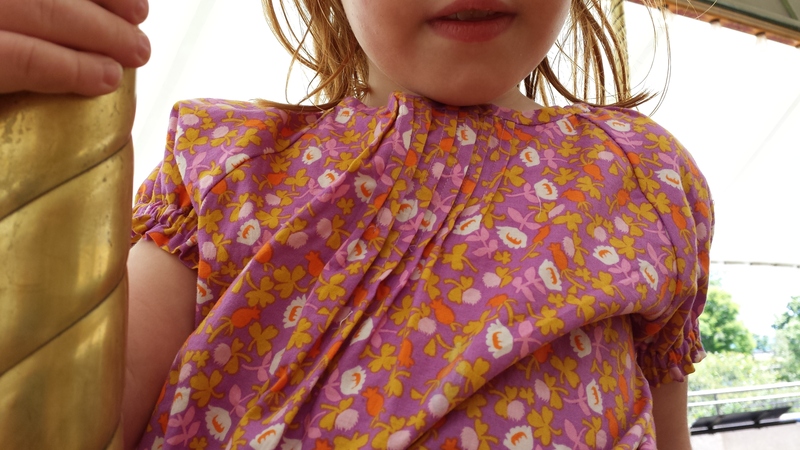 This top presented more of a challenge than the Tiered Dress, I have to admit. There was a great deal more seam ripping and swearing involved. But, it was all worth it! First of all, you have to hunt around in the book for the first several steps of instructions (p.s. 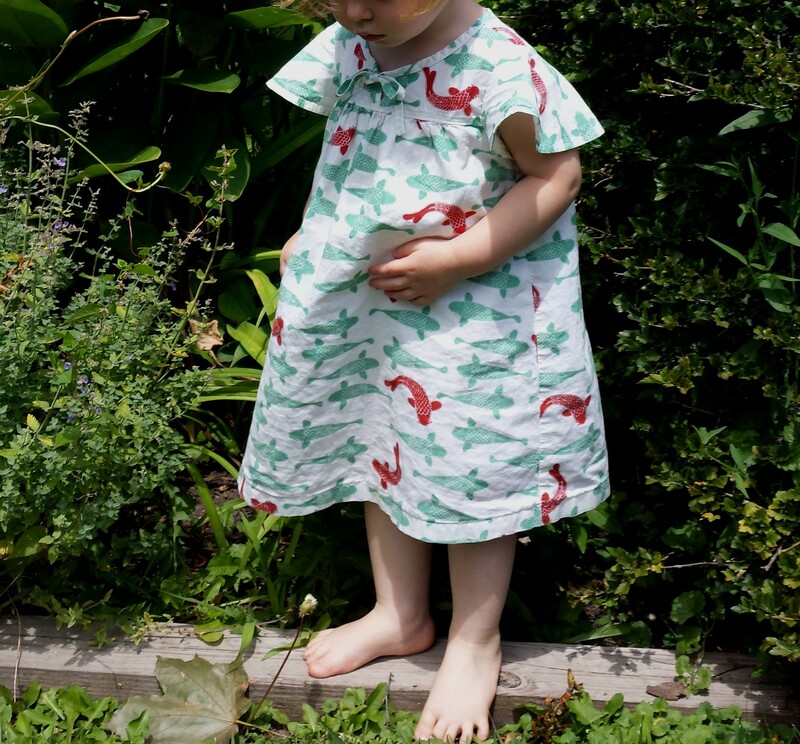 — they’re to be found over on page 39 with the Smock Dress instructions). Also, there is not much direction given for making the pin-tucks. 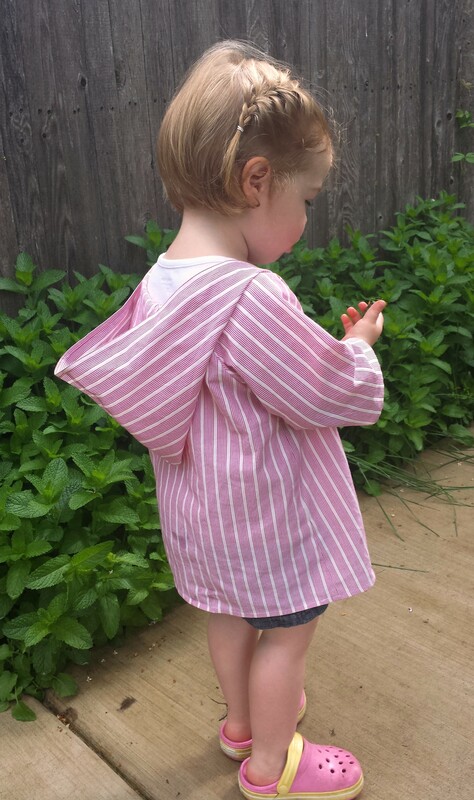 But luckily, I’ve been on a major Made-by-Rae Josephine Top kick this spring, which involves quite a bit of pin-tucking (with very clear instructions — thanks, Rae!). This recent experience definitely came in handy. But my real trouble came with the neck facing. The front neck binding is pretty straightforward, but I never could figure out what I was supposed to do with the darn facing around the back. I ended up treating the facing like bias tape binding and sticking the elastic inside — although I was pretty sure that this wasn’t what the authors had in mind. If only I had waited a week to make this top, it all would have become clear. 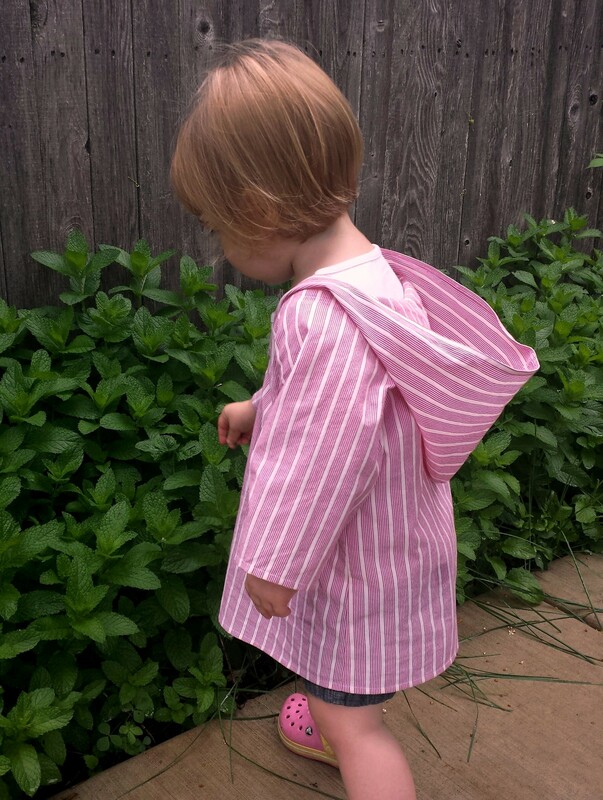 Turns out that this very question is addressed in Meg’s post this week over at Elsie Marley about the same type of neck facing on the Happy Homemade Pullover Parka. She explains it really well, and now I know that I’ll be able to get it right next time. 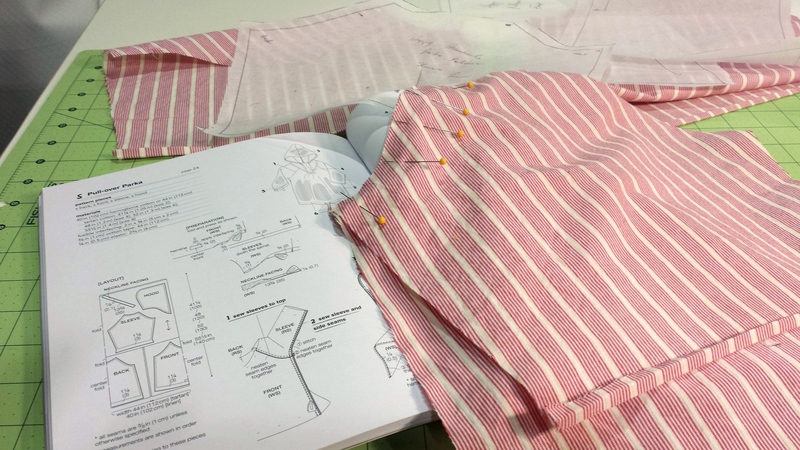 The only other tricky bit was inserting the elastic into the casing on the sleeves. The way it’s done here is pretty cool and different from anything I’ve done before — but actually getting the elastic through the opening was tough. I’m sure I wasn’t doing it right, so I’ll just have to give it another go on another top on another day. But, these difficulties aside, I think this top turned out pretty well. 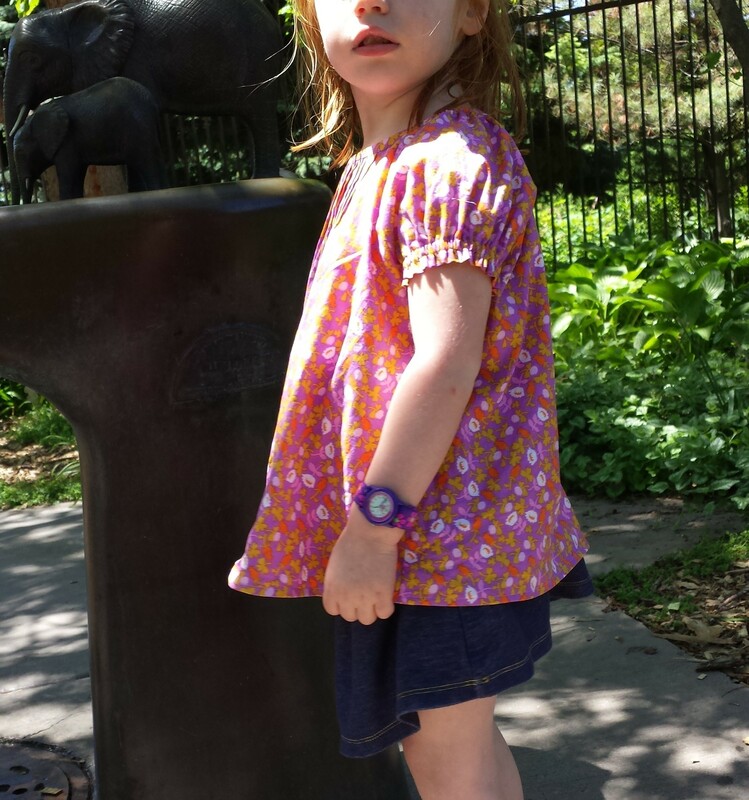 Once again, we tested this top for wearability at the zoo. 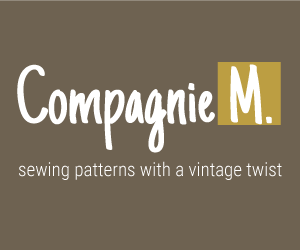 And, wouldn’t you know, You & Mie and Elsie Marley are hosting a Happy Homemade Sew Along this week — so I knew it was fate! 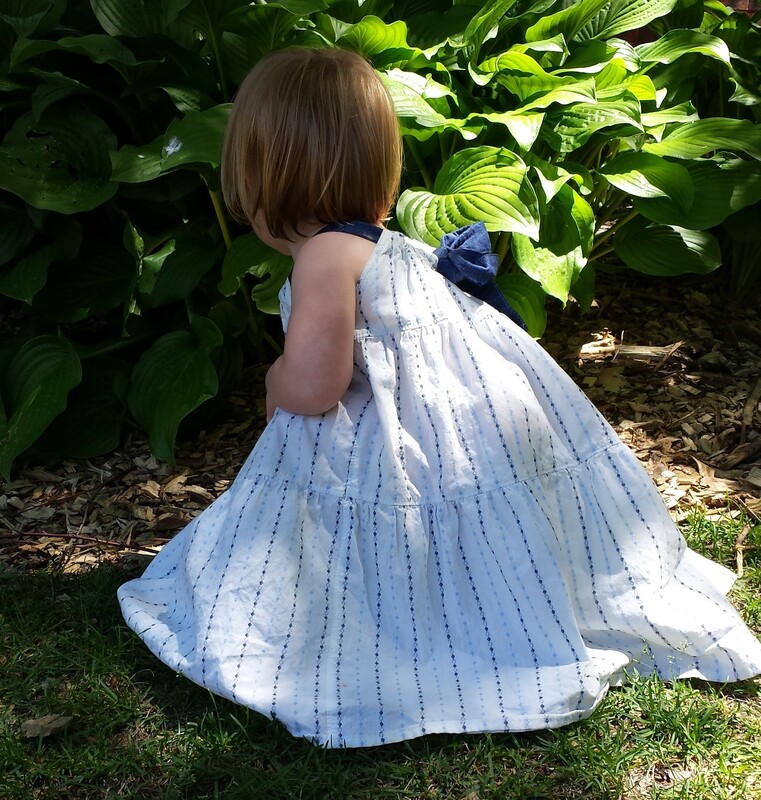 With this in mind, my first try was the Tiered Dress, aka dress “f” in size 2. I think it’s fair to say that this may be one of my favorite things that I’ve made, hands down. Happily, it was pretty easy to figure out and put together. It’s basically three rectangles that you sew together, gathering the tops of the bottom two pieces. There’s a drawstring at the neck that literally pulls the whole things together. Perfect for a summer day! 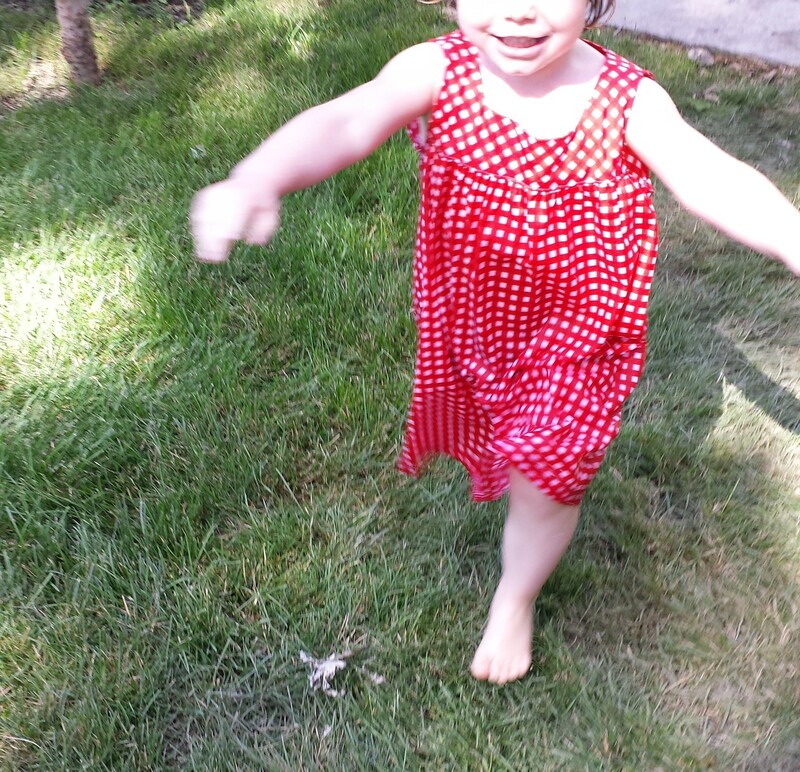 When Lulu put it on, she started twirling immediately, without skipping a beat. 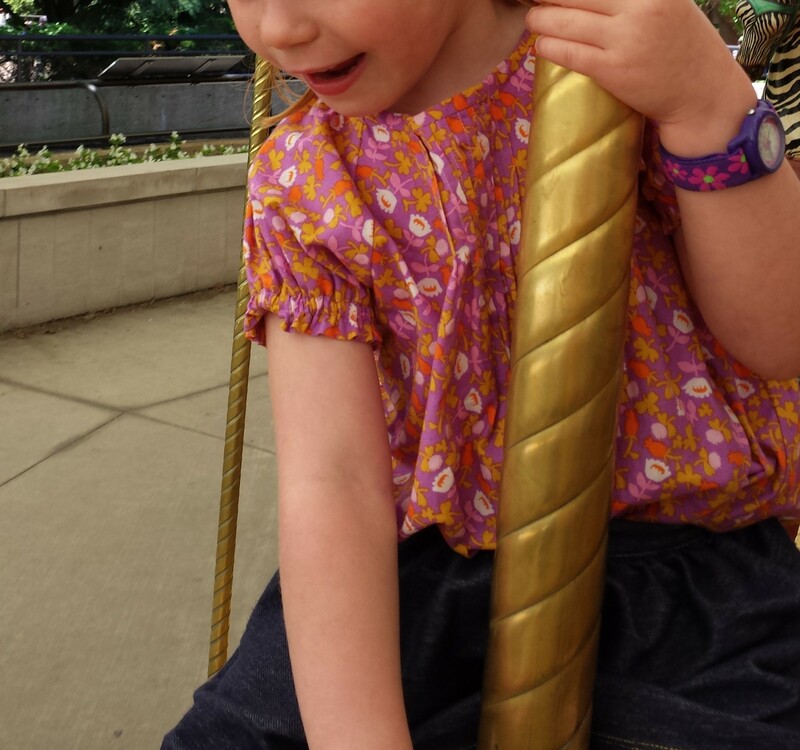 She twirled and twirled for at least 10 minutes. The fabric is some cotton shirting I found at my local fabric store. It’s pretty lightweight, but still has some body to it. Just right, I think. The drawstring is chambray. The instructions in this book are a series of diagrams with very limited text. It took some study time before I was sure I knew what was going on. But once I felt like I had a handle on it, things went pretty well. The only real trouble I ran into was turning and pressing the U shaped notch where it ties in the back. 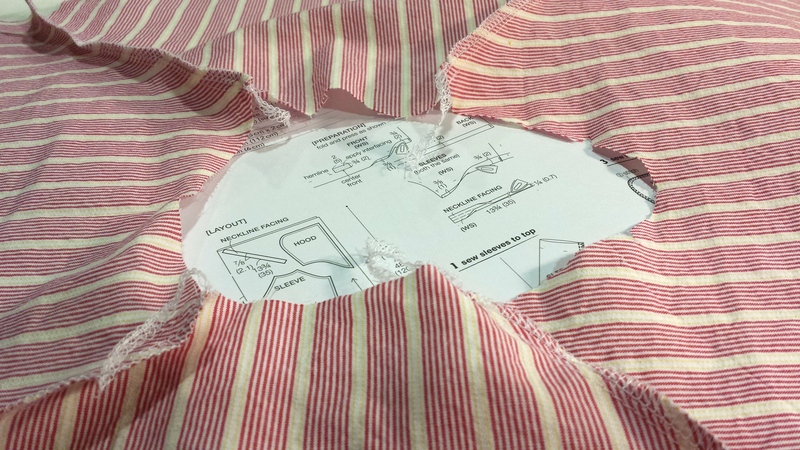 The instructions imply that all you need to do it neaten the edges of the U, turn, press and stitch down. But I couldn’t figure out how to turn it without serious puckering, so I ended up clipping the curves (through my serged edge) and then zigzagging it all down so that it wouldn’t fray. It’s not the most beautiful looking thing, but the bow covers it up, so this’ll be our little secret. 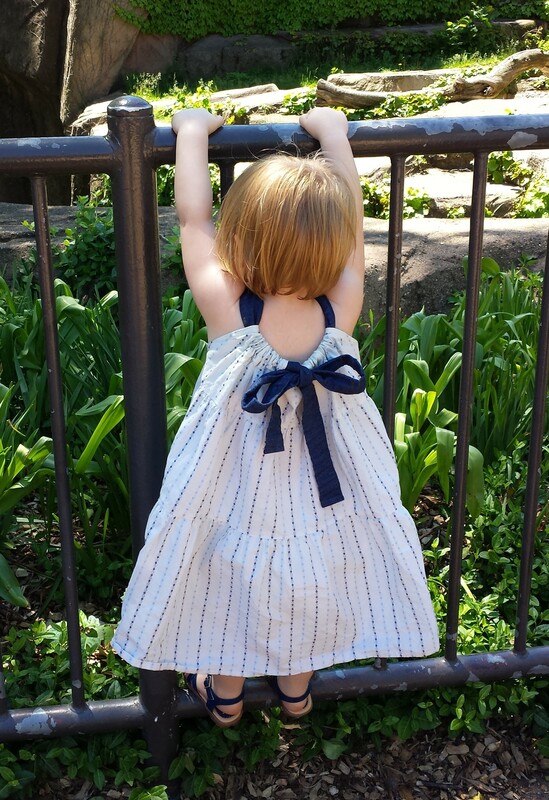 We decided to initiate this dress with a trip to the zoo. 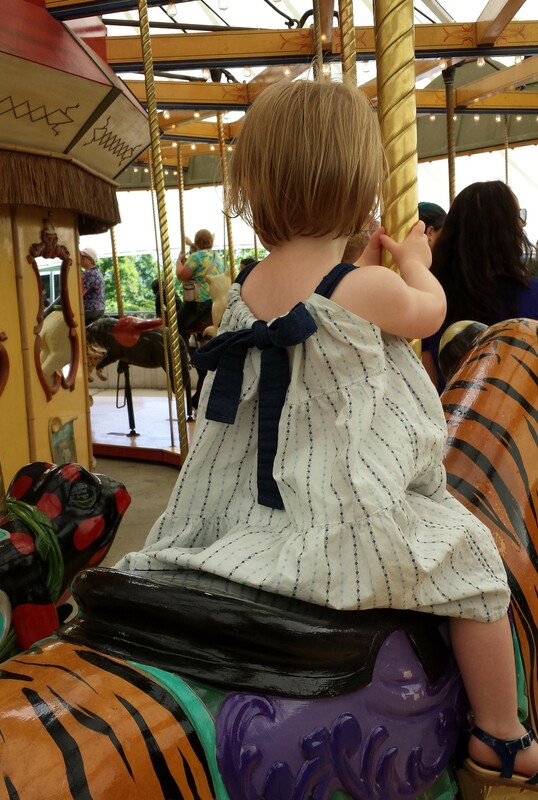 Happily, it turned out to be more than suitable for carousel riding, animal viewing, picnicking and all the other requirements for a successful zoo afternoon. Oh, and it encourages crazy dinosaur dancing, too. 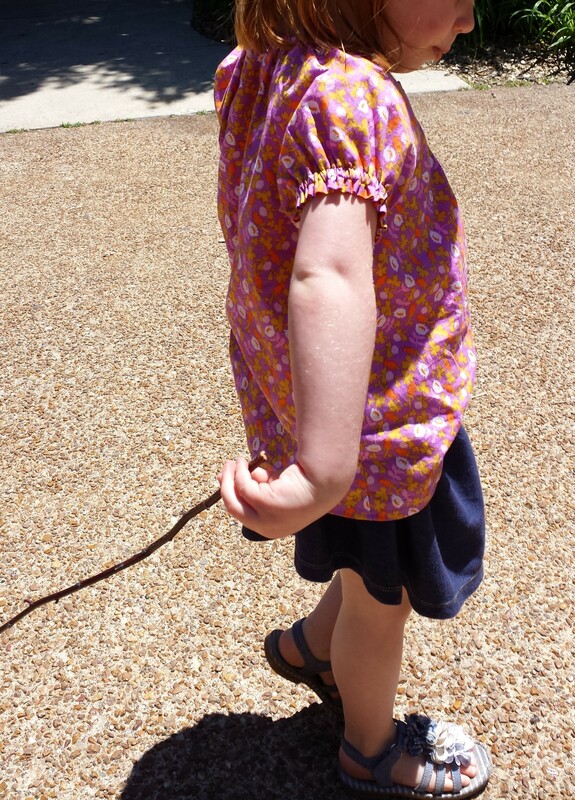 Next up — the Pintucked Blouse. Now things are getting serious . . .